A vacation to the Bahamas is a popular mention on bucket lists worldwide due to its stunning underwater world, swimming pigs, soft sandy shores and exciting water parks. However, with many resorts costing upwards of $1,000 a night (and a few budget hotels receiving less than average reviews), you’d be forgiven for shelving hopes of a dream Bahamian getaway alongside those of winning the lottery. But there might be hope yet for daydreaming families on a budget. We’ve scoured the Caribbean archipelago for the cheapest and best family-friendly accommodation options. These are the best bang-for-your-buck Bahamas family resorts. 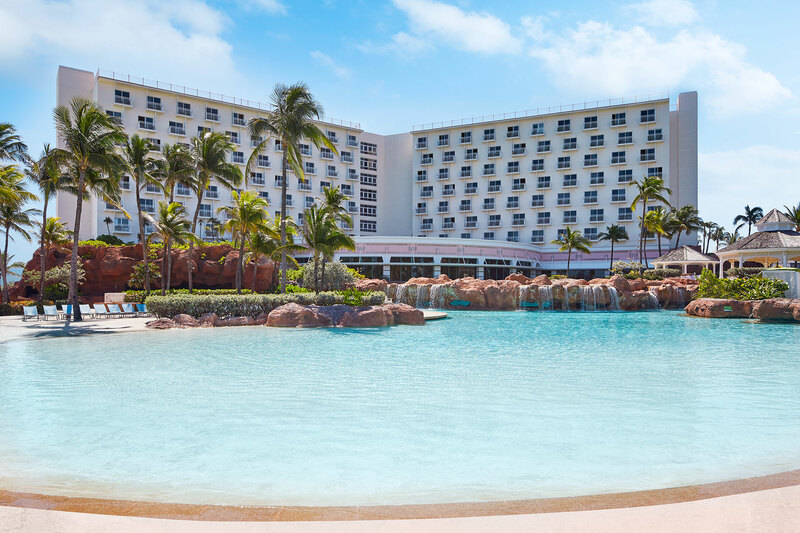 Beach Tower is the most affordable of the six hotels within the Atlantis resort on Paradise Island. Access to the resort’s beach is included in nightly rates, as is access to Aquaventure water park! Plus, there’s a free shuttle to get you anywhere you need to go within the resort. Many guestrooms offer water views, too. Bell Channel Inn is a family-run, budget hotel on Grand Bahama Island. The hotel has 32 guestrooms with balconies overlooking the sea or patios with direct access to the pool. Nearby, there are scuba diving and snorkeling tours, opportunities to encounter dolphins, horseback riding excursions (where you’ll ride through the shallows), and a golf course. Families don’t need to venture out for food, as the restaurant onsite serves three meals a day and offers a kids’ menu. If your bucket list has ‘swim with pigs in the Bahamas’ on it, yet you’re on a budget, bring the family to Gems at Paradise Resort on Long Island. The resort owner can take you (by boat) to a nearby cay to mingle with some pink-snouted friends. Dean’s Blue Hole, a deep sink-hole in the ocean — known for its record-breaking free diving attempts and a pond that’s home to a whole gang of flamingos – is nearby, too. All rooms have balconies or terraces with ocean-themed decor. From some of the rooms, you can watch beautiful sea turtles and manta rays glide by — so blissful. For an all-inclusive Bahamian family vacation experience that won’t put you into debt, Lighthouse Pointe at Grand Lucayan Resort is an excellent option. 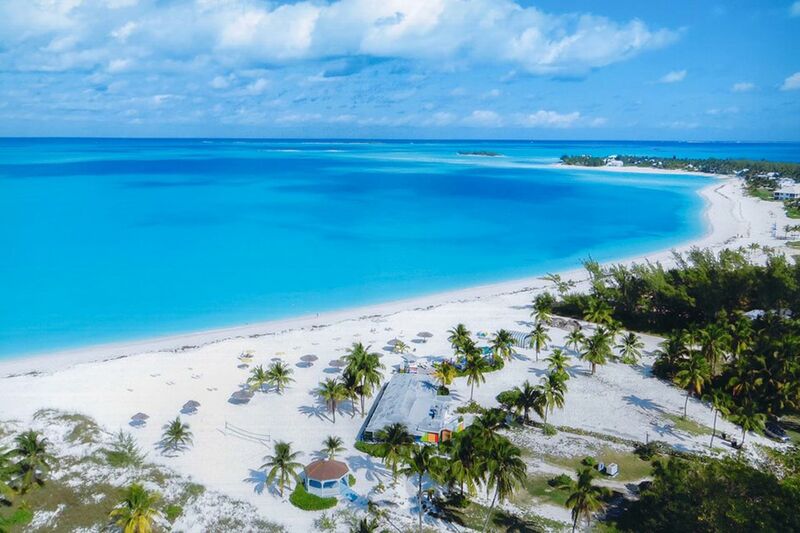 Set by a beachfront and harbor on Grand Bahama Island, the resort has relaxing pool areas, children’s activities, a playground, family-friendly restaurants and spacious rooms. Nights at the resort aren’t filled with noisy entertainment, either — which may please parents. Visit Pirate’s Cove Zipline and Waterpark for more fun nearby. Venture to Cat Island and you’ll find Greenwood Beach Resort, a boutique budget hotel set on an 8-mile stretch of almost deserted coral pink sand. 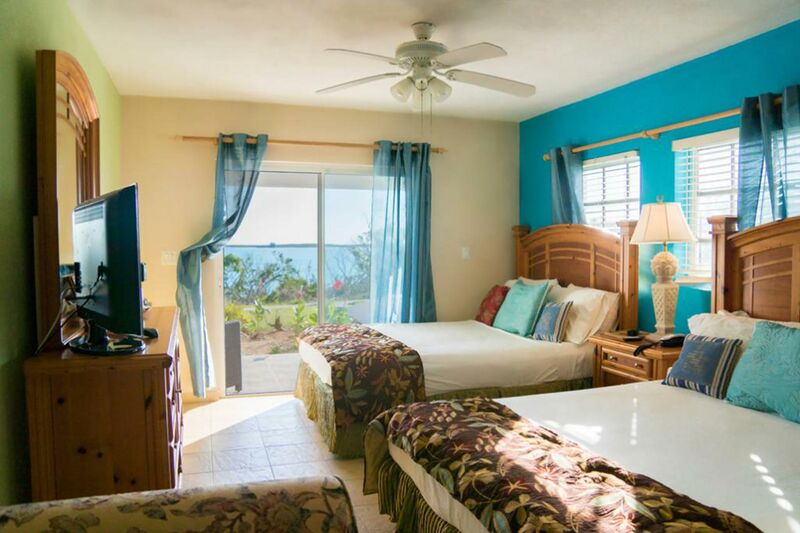 Along with bright turquoise water, the views from the beachfront rooms offer quite the color combination. Greenwood’s friendly owners will happily teach families how to kite surf, scuba dive or slackline. If you’re lucky, you might even get to see some magic tricks. 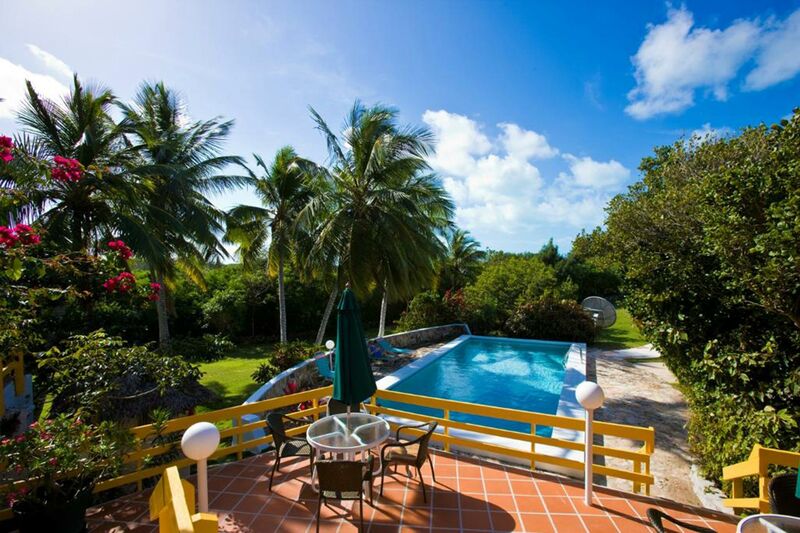 There’s an outdoor pool for guest use and the shallow waters surrounding the island are perfect for splashing around. The marina that surrounds Treasure Cay Beach, Marina & Golf Resort is home to beautiful sea turtles, brilliantly colored fish and some very posh yachts. Families can stay in pastel-colored octagonal cottages situated on a 3.5-mile stretch of beach that has landed on many “best beaches” lists. Residents of the Treasure cottages have access to a swimming pool with waterfalls, a nearby golf course and lots of family-friendly water sports activities. Bimini Big Game Club Resort and Marina is the place to go if catching a 1,000-pound blue marlin sounds like your idea of family bonding. The resort is located in Alice Town, the capital of Bimini, which is a group of islands off the coast of Miami. There’s a 75-slip full service marina, a big game dive shop, and a glass-bottomed dive boat to take guests out onto the open water. 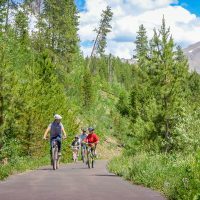 Families can choose from rooms, cottages or suites, and there’s a bar and grill serving up tasty meals onsite. Guests staying at Comfort Suites Paradise Island enjoy all the perks of a stay at neighboring Atlantis Resort without the cost of staying at Atlantis. Comfort Suites guests enjoy free access to all of the amenities at Atlantis, including the water park, gaming zones, and theater, giving children of all ages plenty to do. The pastel-pink Comfort Suites also offers spacious family rooms with sofa beds, an outdoor pool area, and a hot, full American breakfast every morning. The onsite restaurant has a delicious selection of fresh fish, and children under age 11 eat free from the kids’ menu. 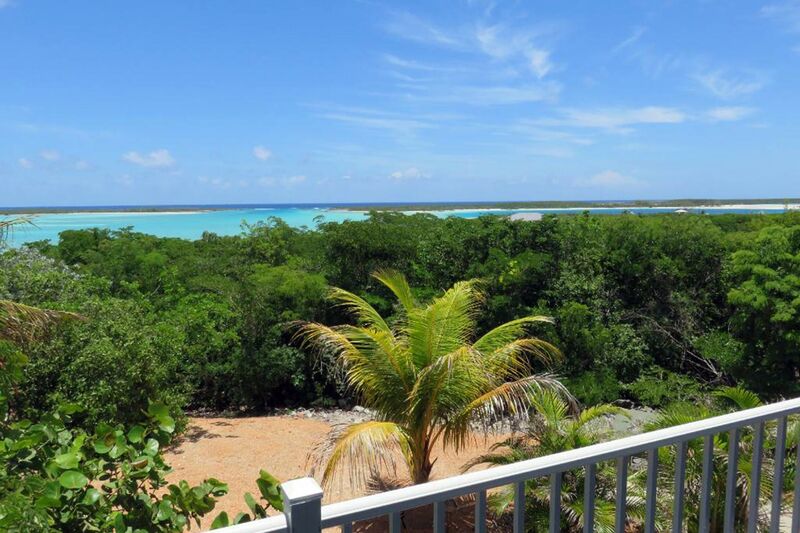 Harbor Breeze Villas overlooks the Atlantic Ocean and Clarence Town harbor on Long Island in the Bahamas. The widely spread out property offers quaint villas complete with comfortable beds, sofas, kitchenettes, balconies and lots of privacy thanks to the vegetation surrounding each building. The resort is suitable for families wanting to spend quality time together without the need for the entertainment and services of an all-inclusive resort. Set on the beach on Long Island, Stella Maris Resort Club promises that kids will be ‘truly active rather than inactively entertained.’ With so much for families to do at the resort, they may well succeed in getting young ones away from screens. There are three swimming pools onsite, as well as ocean lagoons, a game area, a children’s playground and junior scuba diving courses. If that’s not enough excitement, the resort is located right by the location where “Pirates of the Caribbean: Dead Man’s Chest,” was filmed.